An Ayurvedic cleanse is basically a way to detoxify your body and be rejuvenated. Over time, we get exposed to a lot of factors like environmental pollution, chronic stress, and we also tend towards poor eating habits and lack of sleep. All of this can have an adverse effect on one’s body, overall health and wellness. An Ayurvedic detox seeks to let your body rest and rejuvenate itself in order to get rid of ama, or toxins that may have accumulated over time. Who should get an Ayurvedic cleanse? Those suffering from erratic sleeping schedules, chronic stomach issues, skin problems, joint pain, hair loss, or problems in eyesight may want to consider an Ayurvedic cleanse. How often should an Ayurvedic cleanse be done? In general it is good to plan a detox every three months – however, after consulting with an Ayurvedic specialist (you can do so here) you might have to decide depending on the state of your health and ability. What are the benefits of an Ayurvedic cleanse? An Ayurvedic cleanse seeks to re-balance your body. It repairs, strengthens and revitalizes you internally to help you sleep better, improve digestion, and allowing your body to rest and rejuvenate. While a full cleanse like the Panchakarma requires supervision and implementation by an Ayurvedic practitioner, a basic diet cleanse can be done by yourself. Have lots of natural juices: Drink lots of fresh fruit and vegetable juices for the first 3 days. 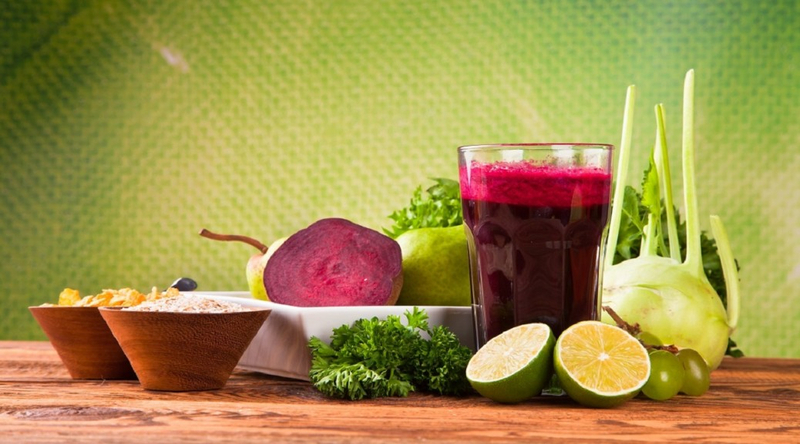 If you are diabetic, stick to vegetable juices like beetroot and carrot. You can also make your own healthy soups with fruit and vegetables. After that gradually move on to a khichri diet. The Khichri Diet: Khichri is an easy-to-make dish, commonly used in our Indian households as a light meal for those who are sick. It is made with moong dal, rice, ghee and spices. For a week, make khichri your go-to meal for lunch and dinner. It will soothe the digestive system, giving it a much-needed break from all the fast food and oily/spicy food you have been having. Drink lots of herbal teas: Green tea, jasmine tea, or any type of herbal tea is a great rejuvenator. Have a few cups of herbal tea and drink lots of water as well during your cleanse week. This helps flush out toxins from the body and keeps you hydrated. Avoid cold water. Do a self-massage: Massage is a very fundamental way of improving blood circulation, strengthening nerves and removing all the built-up toxins. Do a daily self-massage with heated mustard or sesame oil before you have a bath. It will relax your body and also help you sleep better. Triphala supplements: Take a half teaspoon of powdered Triphala at bedtime. You could also try taking Triphala tablets. This will help support rejuvenation of your body tissues and also help aid better bowel movements. Following an Ayurvedic cleanse for a week will give your body some much needed TLC. At the end of it, you will feel refreshed and ready to take on your routine. When you resume your regular routine, try to use healthier substitutes when cooking or snacking for the maximum benefit to your health. Ayurvedic supplements can also add a lot of benefits to your lifestyle. For information on Pankajakasthuri’s range of Ayurvedic supplements, visit this link.